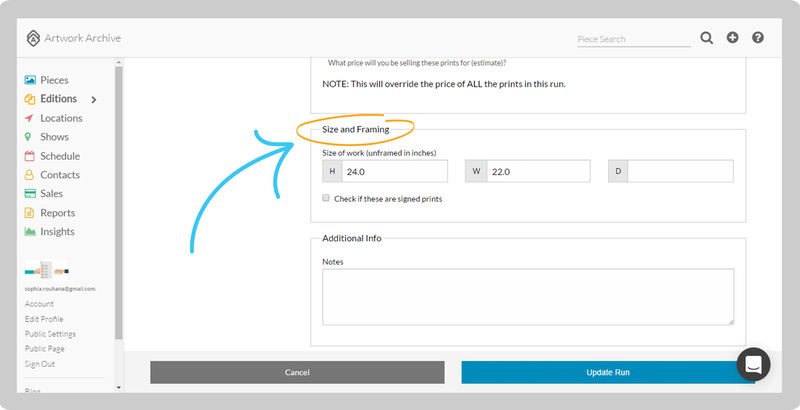 You can enter the size of the print when you create a Limited Edition Run. 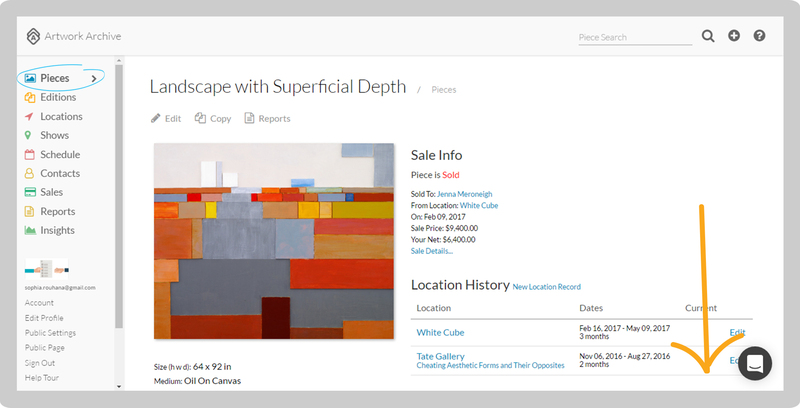 Click on Pieces in the left-side menu, and select the Piece you'd like to make a Run for. 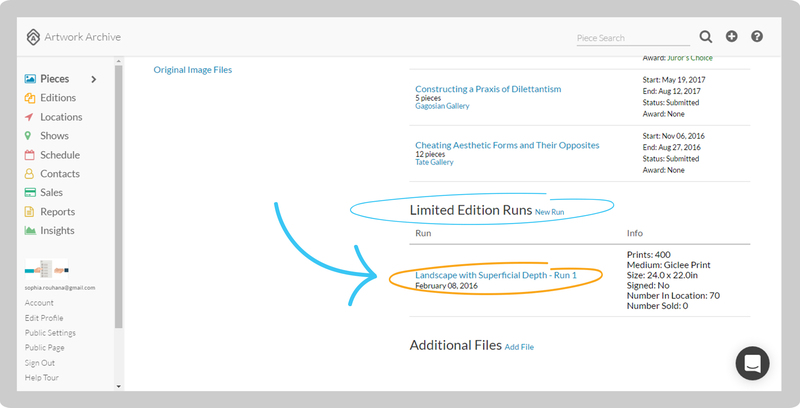 Scroll down and click New Run next to Limited Edition Runs in the right-hand column. 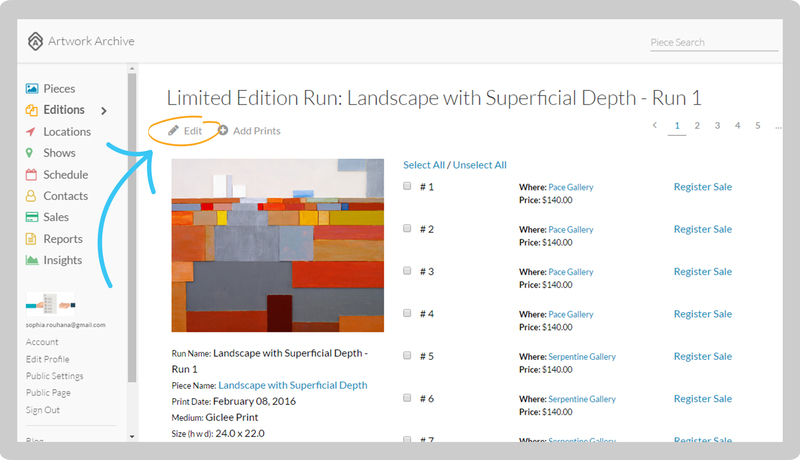 You can enter the height, width, and/or depth under Size and Framing, then click Create Run. 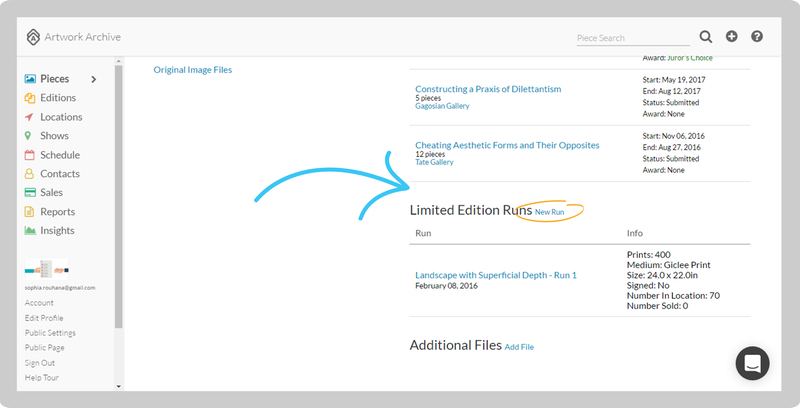 If you have already created a Limited Edition Run on Artwork Archive and want to add the size to the print or object, click on the Piece and then click on the Run under Limited Edition Runs in the right-hand column. Then click Edit above the Print image. 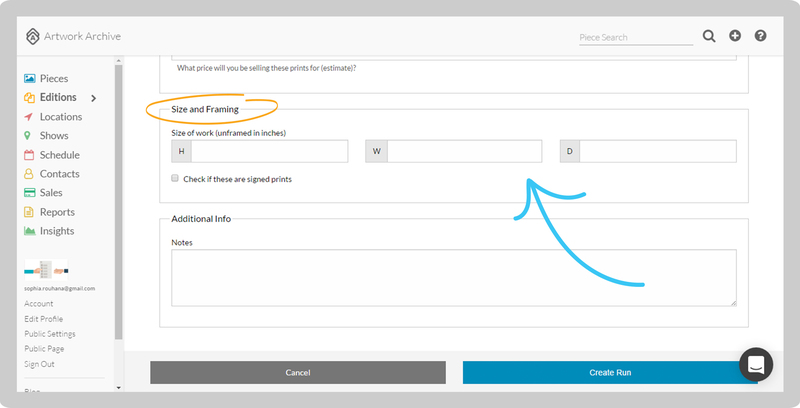 Edit the height, width, and/or depth under Size and Framing and click Update Run.